Vacation planning is fun and easy so you don't need to get overwhelmed. The first thing I want you to do is to take a deep breath and don't panic. If you've never done this before, relax. I am here to help you with some simple steps to plan a great vacation. 1. Determine Your Budget. There are many ways to go about determining your budget, but I usually set a price of how much I want to spend (per person) and then go from there to determine how to find the best travel deals based on where I want to go on a cheap vacation. You need to be reasonable regarding what the budget will be for your vacation or getaway. 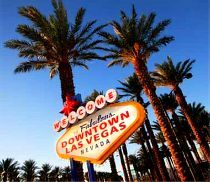 A very realistic and reasonable budget for a cheap vacation is between $800-$1200 per person including airfare, hotel, car rental, food, tips, and airport parking. There are some economies when you're traveling with kids so that per person figure may actually be significantly lower, but if you're vacation planning for a typical one-week vacation for two people, that's a fair average. I've traveled all over the country on business and the average budget for a two-to-three day business trip is about the same amount so it's a very reasonable for a cheap vacation for an entire week (especially when it involves air travel and a much longer stay. Naturally, if you're planning a weekend getaway or a road trip, you can purchase travel on a smaller budget, but I'm here to help you plan an amazing high value vacation for a cheap vacation package price. I have found this excellent vacation planner budget template online to help you plan your vacation budget. 2. Choose Your Destination. Choosing your destination isn't always easy, but for some of you, you know exactly where you want to vacation. 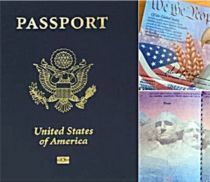 I've put together some vacation destination resource guides for planning trips to a U.S. Destination or an International Destination with important travel tips before you go. Here's my dirty little insider secret. I've traveled to some amazing vacation destinations at amazing prices, but I don't usually choose my destination. The destination chooses me. It can get a little frustrating but I can tell you that if destinations did not chose me, I would never have went to Jamaica and seen a live starfish swimming underwater when I was snorkeling off of a beach in Negril, climbed the Great Wall of China, traveled through the Panama Canal or met a baby sloth at a sloth sanctuary in Costa Rica just for starters. I went to those vacation destinations not because I had a deep desire to travel to Montego Bay, Beijing, Panama City, or Puerto Limon, but because I was chasing a travel deal. Now, vacation planning via chasing a deal is a great way to get cheap vacations and save a lot of money. I have been on some incredible trips and gone to vacation destinations I never would have had at the top of my travel destinations "bucket list," but I realize chasing the travel deal has prevented me so far from going to Tahiti's island paradise of Bora, Bora (my life long travel dream) and I still want to do the "Sound of Music" tour in Salzburg, Austria. So you usually have a choice: chase the best travel deal or choose your travel dream. If you're lucky, these two choices may meet in the middle if it's been your life long dream to go to the places where the deals seem to be. Right now, a lot of good deals seem to be in Mexico, so if Mexico has been your life long dream, you are in luck. If your "destination" is a cruise, this can be an incredible value and a cheap vacation (especially if you live near a port) since cruise vacations basically bundle your hotel, transportation, and food all into one convenient price with tons of amenities on board. I'm a big fan of cruises, but be sure you check out the hidden costs of cruises and determine if you'd enjoy a cruise ship vacation and is a cruise for you or not. Cruises aren't for everyone, but they're a great value if you know you how to shop for the best deals for cruise vacations including traveling in the off season. Foo example, you can get better low rates on a Mediterranean Cruise in the late fall. 3. Book Your Airfare, Hotel, and Car Rental. When you're vacation planning, the best way to save hundreds of dollars on your vacation is to book everything together as a complete travel package. I don't have any technological reason as to why this saves you money, but it does. Feel free to experiment with your own online travel booking engine of choice with this concept by making queries separately and then as a package, but it's been done before. I sometimes like to experiment both ways depending on my destination as the biggest variable is usually the airfare along with the departure and arrival schedules for the flight which I'm generally fairly picky about. 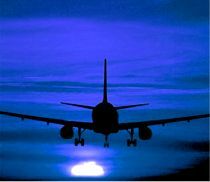 As much as I hate to get up super duper early to catch a plane, getting that first flight of the day can save you a world of headaches as departure delays tend to increase as the day grows long. There's so much you need to know about booking travel online so don't miss my article to help you navigate these unfamiliar waters or get great tips on how save when booking your vacation online. Travel Tip: When vacation planning, do NOT book on multiple airlines to your destination unless it's the ONLY way to get where you going, I don't care how cheap the airline ticket is because trust me, it'll spell "trouble" for your vacation. That great travel deal may mean that your luggage does not arrive for an entire host of reasons I can't go into here, that you miss connections due a travel delay in one area and the airline carrier you're connecting with will not hold a flight for you, and many more reasons. Check out our article under Travel Advice on the navigation bar. 4. Research Your Vacation Destination and Plan Your Travel Itinerary. This is one of the things that I sort of excel at as I love researching the hot tourist attractions of the vacation destination I'm visiting. I know some people just like to sort of wing it, but that lack of vacation planning can really add hundreds of dollars to your trip. Their are two great ways to do your research. First, there are so many online tools at the local tourism offices of the areas your visiting that have all the main information at your fingertips, plus many have coupons or travel deals you may not have been able to find in other ways. Be sure to check out my vacation destination resource guides with additional tips for planning trip to a U.S. Destination or an International Destination with important travel tips before you go. The second thing I like to do is pick up a great guide book for the destination and there are a lot of great guide books out there. If you're purchasing the travel guide book online instead at the brick and mortar book store and can't look through the book before you purchase it, Frommer's Travel Guide Books are very good and I just picked up Pauline Frommer's Guide to Las Vegas (in photo above). Rick Steves' Travel Guide Books for Europe are also very well researched and written plus I really like the easy to read lay out of Rick's travel guide books. Both of these authors update their books almost yearly so you know you have up-to-date information. You can get these books online at Amazon.com searching the widget on the left. You can also pick up a great novel or bestseller to read while on vacation. Finally, Lonely Planet is a great resource for guide books for your vacation with it's commitment to providing the best information for travelers. Travel Tip: Pick up a local guide book when you get to your destination if there's one available. One of the best travel guide books I ever got on was the Hawaiian island of Kauai, The Ultimate Kauai Guidebook: Kauai Revealed written by Andrew Doughty & Harriett Friedman. The authors originally went to Kauai as tourists and uncovered treasures of special places. The book has all sorts of fabulous photos, maps, points of interest and incredible(and totally unplugged) restaurant recommendations that added so many special memories to our vacation with such great local and trusted travel advice. 5. Make Two Checklists. Now you need to make two checklists for your vacation planning. One is a list of things to do before you go on vacation. This includes finding a pet sitter, getting a neighbor to pick up the mail, calling your mobile phone service to arrange for a text/email package while you're away if you're traveling internationally, secure a passport or visa (if you need them), get medical vaccinations if necessary, call your credit card companies to let them know you'll be traveling and what cities or countries to expect charges to come up on, and things like that. The second checklist for your vacation planning is a list of things to pack and we have an entire list designed for you under our Travel Advice section. I bet you're wondering how making two checklists can save you money. Well, if you've ever been on a trip and had to purchase something you forgot to pack, then that's the first big savings because even if it's a toothbrush, the hotel will charge you a small fortune for one. Also, with most airlines charging to check luggage these days and imposing additional charges on bags over their weight limit then having your packing checklist for your carry-on and your checked luggage could potentially save you hundreds, even thousands of dollars. I'm not joking. 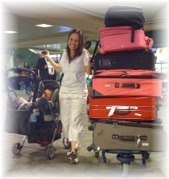 A friend of mine just flew Air China on a long international flight and she had four suitcases. The airline tried to charge her $2500 and she had to do some quick negotiating but the final cost to her was an additional $400! In addition, on my recent trip to Europe the airline made me check my carry-on because it weighed over 17 kilos! If I hadn't been traveling on an international ticket then I would have had to pay for this small suitcase. I have discovered that this is a huge profit center for airlines overseas. Trust me here and let me help you save money and stress, both domestically and internationally. Travel Vaccinations: Before you go on on any international vacation or business trip, you need to know the medical risks to the country you're visiting. At the very minimum, I recommend you take a small medical kit with your country's over-the-counter medications for common ailments like headaches, cold, flu, upset stomach, and diarrhea. But you also need to educate yourself on vaccinations you'll need at least six to eight weeks before you travel so check out our article on travel vaccinations. One final travel tip for your vacation planning is that you can use free services like TripIt.com to organize your complete travel itinerary electronically and it makes it easy to share information with those that need to know your trip details. Now that wasn't so bad, was it? Now that you've been through my vacation planner, you see how simple vacation planning is even for an inexperienced traveler. Before you book your vacation, you may want to find out more important ways to save money when booking travel online plus I also have very important travel advice on the top five travel mistakes that cost you big bucks. Don't forget to check out my vacation destination resource guides I've put together to help you in planning your trips to a U.S. Destination or an International Destination with important travel tips before you go. These are the basics of vacation planning. Now that you know how to plan your vacation, we have a lot of extra bonus travel tips to help you including how to take the stress out of travel. So explore my entire travel web site for the best travel deals and travel tips and discover a world of ways to see the world. Bon Voyage and have a fabulous vacation.